This sunday was exceptional as the weather was finally above 20 degrees. For the first time this year I was able to put the helmet on and see Paris on a scooter, something I love to do, although the traffic is quite a nightmare - that's probably an understatement. I spent the whole afternoon around the The Île Saint-Louis which is a natural island on the river Seine. Plenty of romantic cafes with the very famous Berthillon Ice cream (I have never seen such a long queue for an ice cream before). The whole area has a relaxed atmosphere, many people bring their picnic with them and enjoy sitting by the river while listening to others playing music. 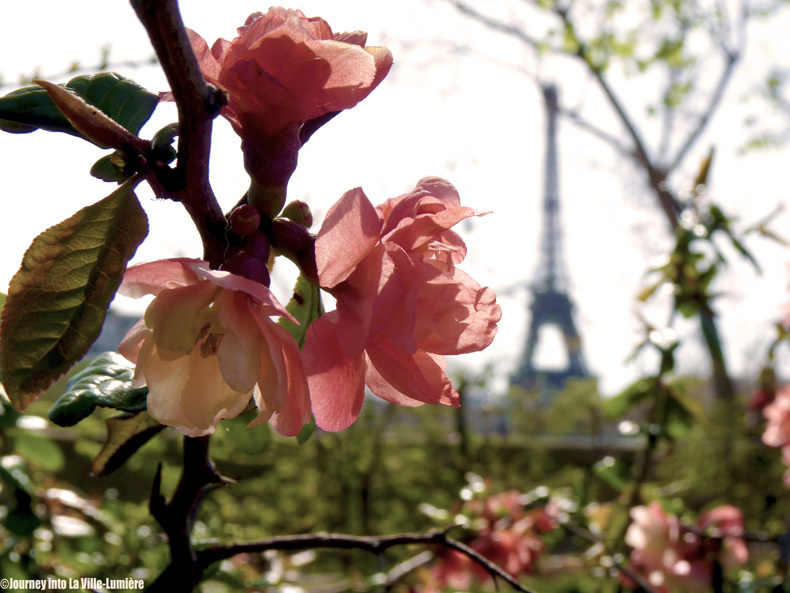 A cherry on top is the magnificent view of the backside of Notre Dame. This day has definitely charged all my batteries and I am looking forward to more days of sun. 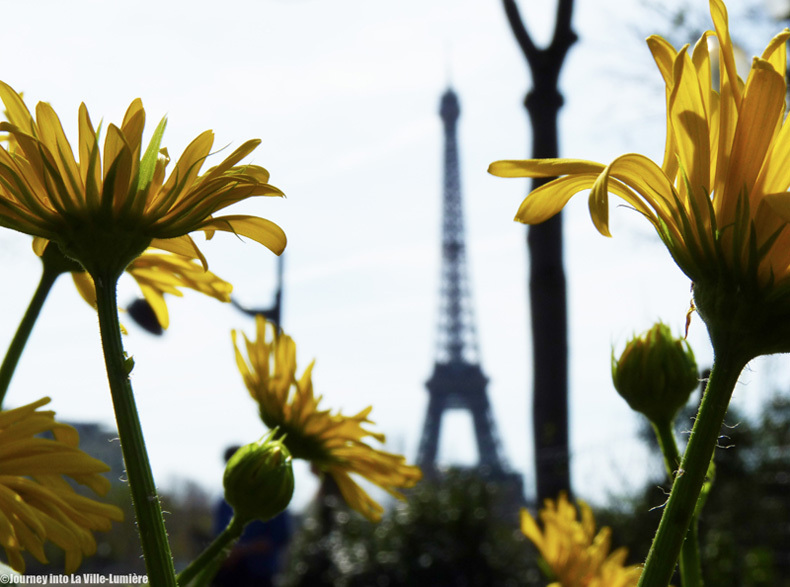 I love the way you frame the Eiffel Tower with flowers! So original, honest, fresh and Gorgeous!! !